Akutenshi and I co-bought a doll at the doll show, or rather, we seem to have bought a Fairyland Moe body, one of the Minifee sized ones, and a sketchy head. The price was amazing, and that might be why. 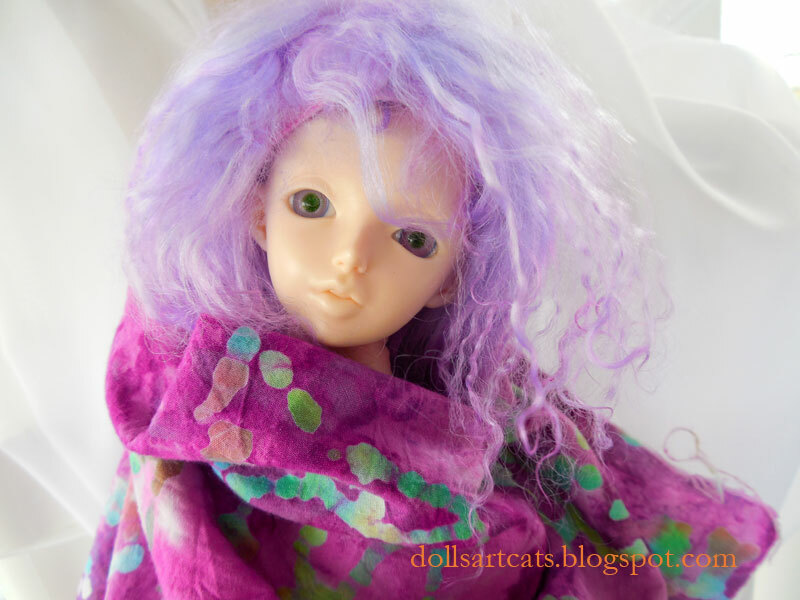 So in the interest of having a genuine head on the body, I bought this little 2012 Nanuri head from another Den of Angels member; we also have a Lucywen-with-papers head to put on it. There might even be clothes later :D This little rascal is so cute--"He" is supposed to be a boy, but with those huge eyes and adorbs little teeth this head will make a cute girl.